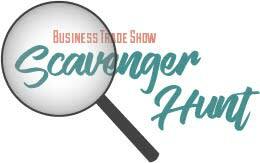 Sneak Preview and Day Show tickets to the 29th Annual Business Trade Show are now on sale. The Show will take place on September 12 and 13 in the New Braunfels Civic Convention Center and will feature a “Great Films of Hollywood” theme. Tickets can be purchased online at www.TradeShowInNewBraunfels.com. This two-day event will feature more than 100 vendor booths costumed and decorated in line with the theme, filling both the Exhibit Hall and Ballroom. Vendors will be showing off the products and services that make them unique, and handing out great giveaways and prizes. The Show kicks off with a Sneak Preview Night on Tuesday, September 12 from 6:00 to 9:00 with a silent auction, complimentary beer, wine, cocktails and hors d’oeuvres, entertainment, and great door prizes. This celebration of local businesses continues on Wednesday, September 13 with the Day Show from 11:30 a.m. to 6:00 p.m. The Day Show features a complimentary lunch, fun scavenger hunt, and a Happy Hour beginning at 4:30 with complimentary food and beer, entertainment, and another round of great door prizes. The scavenger hunt winner will win a $1,000 gift card sponsored by Farmers Insurance Office of J.P. Kesselring and Broadway Bank. The Business Trade Show is the perfect event to learn about more than a 100 New Braunfels businesses, get some great swag, enjoy complimentary food and drinks, hear live music, and have your chance to win some valuable door prizes. Tickets to the Sneak Preview Night are $40 and only a limited number will be sold. Day Show tickets are $5 in advance or $8 at the door. Tickets can be purchased online at www.TradeShowInNewBraunfels.com.